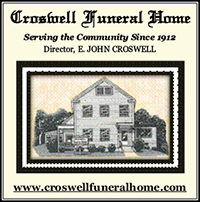 Home » Wakefield Obituaries » Robert D. Trepsas, Sr. Published in the February 4, 2019 edition. WAKEFIELD – Robert D. Trepsas, Sr., 77, of Wakefield, formerly of Saugus, died unexpectedly on Monday, January 28, 2019 at the Melrose-Wakefield Hospital in Melrose. He was the husband of the late Barbara (Oljey) Trepsas. Born in Wakefield, he was the son of the late Henry and Thelma (Crowley) Trepsas. He retired from J.W. Daly/Cardinal Health as a credit manager after 41 years of service. He was an avid golfer and long time member of the Gannon Golf Course in Lynn. He lived in Saugus most of his life and above of all, loved spending time with his family. Mr. Trepsas leaves two daughters, Stacey Provost and her husband Todd of Peabody; Brenda DeMarco and her husband Robert of Middleton; one son, Robert D. Trepsas, Jr. of Wakefield; seven grandchildren, Taylor and Kasey Provost, Rachel, Jessica and Emily DeMarco, Robert M. Trepsas and his wife Rose, Drake Trepsas; one great-grandchild, Vaida Trepsas; one sister, Katherine Calvani of Fla. Relatives and friends are invited to attend visiting hours in the Bisbee-Porcella Funeral Home, 549 Lincoln Ave., Saugus on Tuesday, 4-8 p.m. Funeral from the funeral home on Wednesday at 9:30 a.m. followed by a funeral mass in Blessed Sacrament Church, 14 Summer St., Saugus at 10:30 a.m. Interment Riverside Cemetery, Saugus. For directions and condolences www.BisbeePorcella.com.